1. When rolling a die, is this an example of a discrete or continuous random variable? Explain your reasoning. 2. Calculate the mean and standard deviation of the probability distribution created by rolling a die. Either show work or explain how your answer was calculated. 3. Give the mean for the mean column of the Worksheet. Is this estimate centered about the parameter of interest (the parameter of interest is the answer for the mean in question 2)? 4. Give the mean for the median column of the Worksheet. Is this estimate centered about the parameter of interest (the parameter of interest is the answer for the mean in question 2)? 5. Give the standard deviation for the mean and median column. Compare these and be sure to identify which has the least variability? 6. Based on questions 3, 4, and 5 is the mean or median a better estimate for the parameter of interest? Explain your reasoning. 7. Give and interpret the 95% confidence interval for the hours of sleep a student gets. 8. 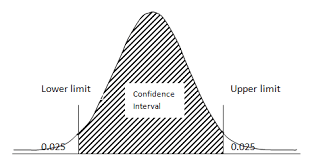 Give and interpret the 99% confidence interval for the hours of sleep a student gets. 9. Compare the 95% and 99% confidence intervals for the hours of sleep a student gets. Explain the difference between these intervals and why this difference occurs.